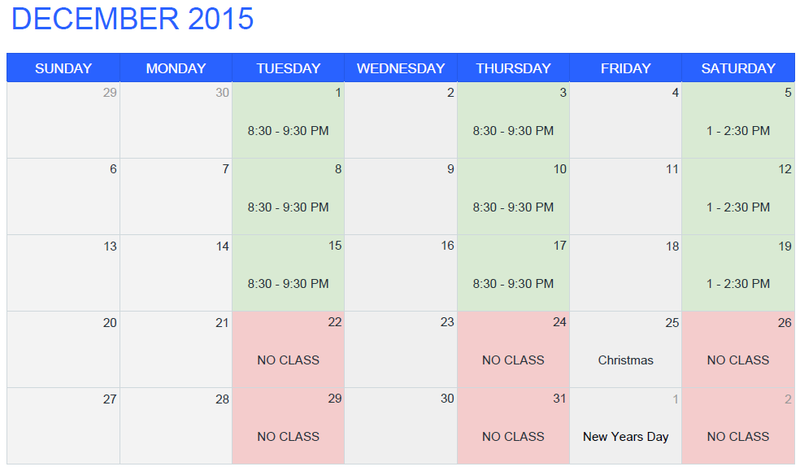 Here is the schedule for December 2015. You will notice there will be a 2 week window of no capoeira. Classes will go until Saturday, December 19th and then they will resume in the new year starting Tuesday, January 5th 2016. But have a good break and come back hyped to learn things like this.